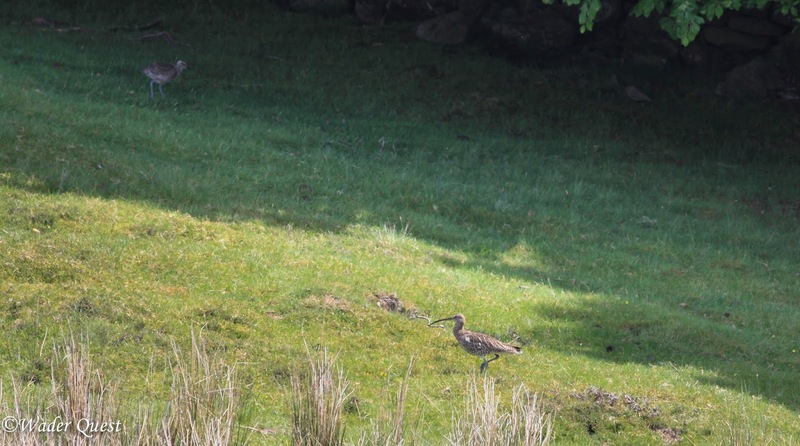 Curlews! Curlews everywhere! What a treat, and Northern Lapwings, Eurasian Golden Plovers and Eurasian Oystercatchers plus a few Common Snipe and even a pair of Eurasian Woodcocks (which we didn't see, sadly). Not a bad haul for a weekend in a wader lovers life. Another Uk wader festival. Eurasian Curlew. Photo: Elis Simpson. 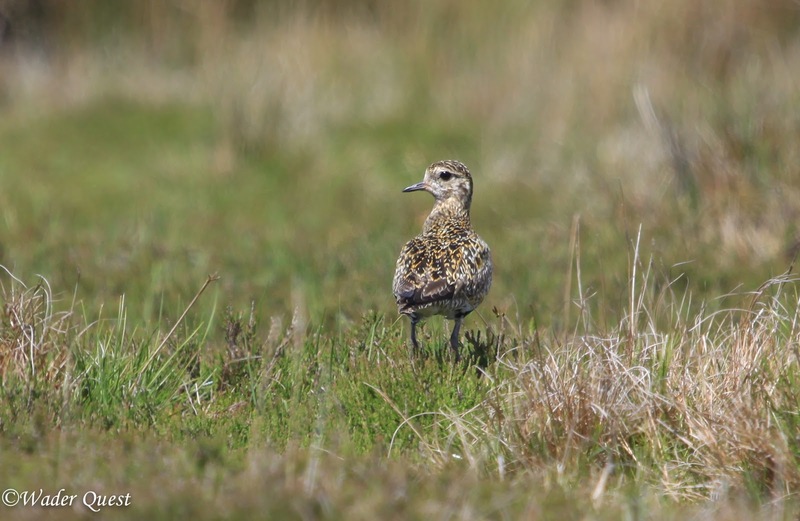 But don't be fooled, just because there are a lot of Curlews about doesn't mean they are not in trouble with falling populations even here in their stronghold. 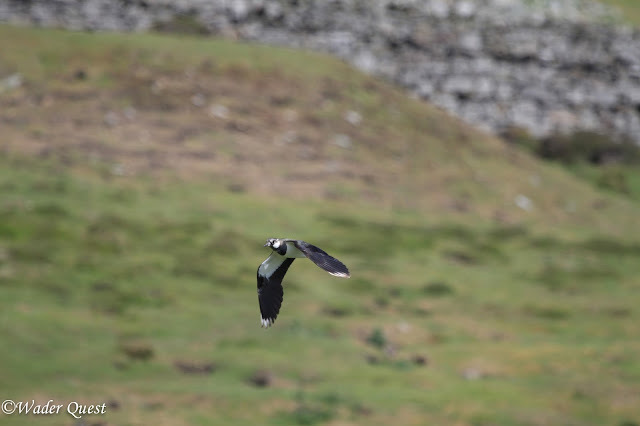 Northern Lapwing. Photo: Elis Simpson. The main thrust of the weekend was for concerned individuals and organisations to join together to discuss what was causing the declines, and more importantly, what can be done to halt, or better still, reverse them, the discussion taking place on the Friday afternoon. On Friday the serious business of talking about what was to be done took place with organisations such as the the RSPB, BTO, Natural England, Curlew Media, Stiperstones & Corndon Hill Landscape Partnership, Moorland Association, Yorkshire Dales National Park, Cumbria Wildlife Trust, Game and Wildlife Conservation Trust (CGWT), and of course Wader Quest all putting their pennyworth in and broadly everyone agreeing that something has to be done, that it is within our wit and grasp and that it is not too late. 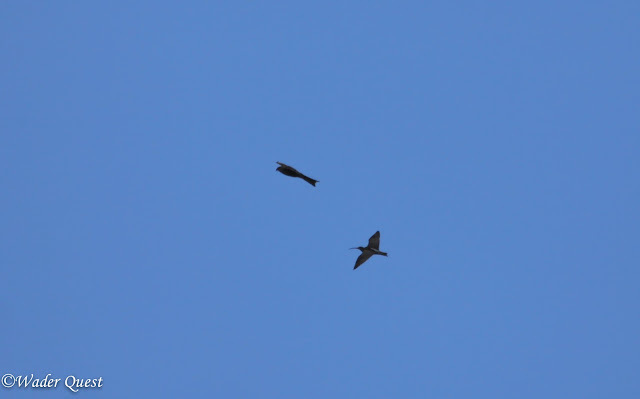 Curlew struggling to survive seeing off a Red Kite like a Spitfire attacking and invading bomber. 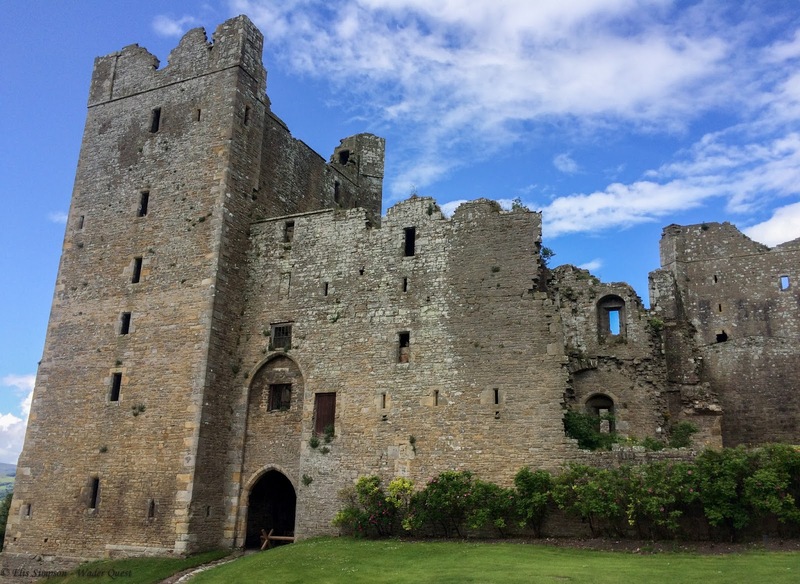 The event took place at the spectacular Bolton Castle, no doubt overseen by the spirit of Mary Queen of Scots who found herself imprisoned there for a time. The art exhibition, talks and the Wader Quest stand were all housed in the Great Chamber, a place where Mary was reported to have spent her days. It was quite something to know that the stonework and beams around us, if they could talk, could tell us so much about this historic lady and divulge such stories that they would surely make the hairs stand up on the back of your neck, much like the call of the Curlew does when one is out on the moors at twilight. But it is another Mary that was prominent this weekend, Mary Colwell, who could perhaps be called Mary Queen of Curlews, a person who has perhaps done more than any other individual in terms of highlighting the plight of the Curlews across the British Isles with her 500 mile slog from the west coast of Ireland to the east coast of England on foot. Since then she has organised Curlew conferences in Ireland, Southern England and in the future, Wales. She was greatly influential in the setting up of the UK's first Curlew Festival too and gave another inspirational talk at the event. In truth the festival came together through a variety of intentions being welded together, writer and poet Karen Lloyd and artist Fiona Clucas have been using their talents to highlight the Curlew crisis and Karen was determined that there should be some sort of event in Northern England too. Mary encouraged the idea and up steps Tom Orde-Powlett who offered Bolton Castle as the venue, a place where many Curlews can still be found easily enough with the grouse moors supporting many breeding pairs along with the other wader species that are otherwise finding it hard to cling on. Eurasian Golden Plover. Photo: Elis Simpson. Tom for his part was influenced by the Wader Quest inspired wader festivals that have taking place in the UK in the past couple of years and equally encouraged by the BTO's Sam Franks to do something along those lines put together a series of activities that appealed to the public and were greatly enjoyed by those who attended. 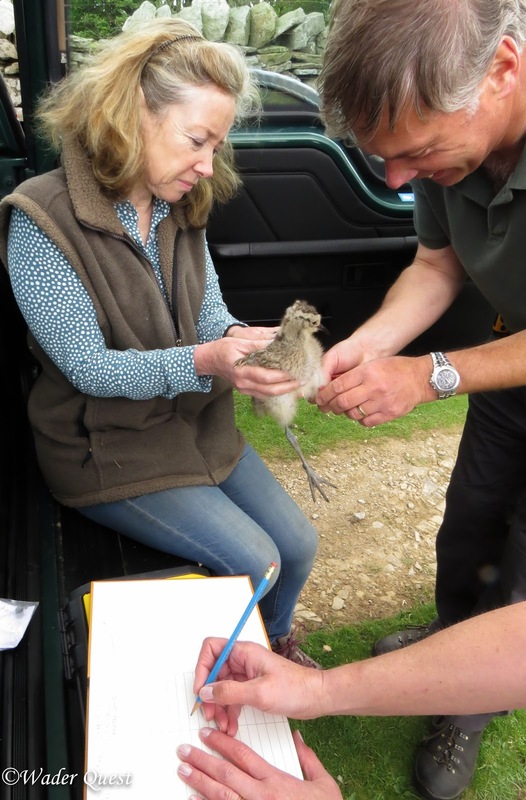 One of the activities was a Curlew safari on the moor where not only adult birds were seen but some chicks too, an encouraging sign, although some still have a long way to go before they were fledged and relatively safe from harm. With Karen and Fiona involved in the organising of the event, poetry, writing, art and even music were surely never far away; an art exhibition featuring many wonderful paintings from well established artists from the Society of Wildlife Artists, including some from Fiona herself, was on display and were for sale as were some sculptures. There was a poetry recital on the moor and Karen launched her new book, an anthology of Curlew related writings called Curlew Calling the proceeds from which will be donated to Curlew conservation. The music side of things was provided by Peter Cowdrey of Planet Birdsong who unlocks the secrets of birdsong through music, science and technology. 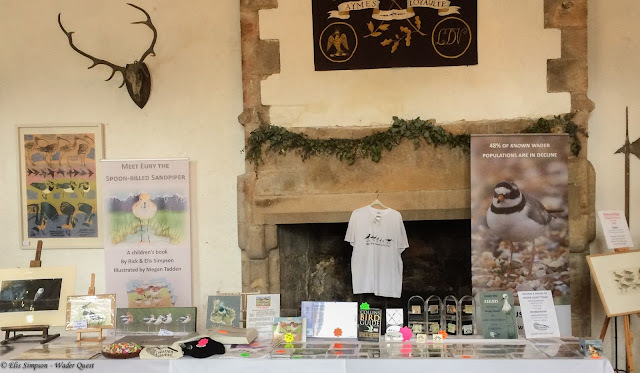 At the castle itself Wader Quest held the fort (if you'll pardon the pun) with a stand in the Great Chamber and fielded questions from the public about the Curlews and what is happening to them. As a result the public awareness, at least in that part of the world, has been substantially increased. Saturday afternoon saw the talks taking place accompanied by tea and cakes. The talks were kicked off by Mary (the Curlew one not the Scottish one, that would have been a scoop), and followed by Andrew Gilruth of the GWCT, Rick Simpson of Wader Quest, Sarah Sanders of the RSPB, Samantha Franks of the BTO and two lively and enthusiastic young Curlew lovers Sacha Elliot and James Common who reminded us that not all people of their generation are as disconnected from the natural world as perhaps some of us old codgers may believe, and who are raising money for the BTO Curlew appeal by walking the three peaks. 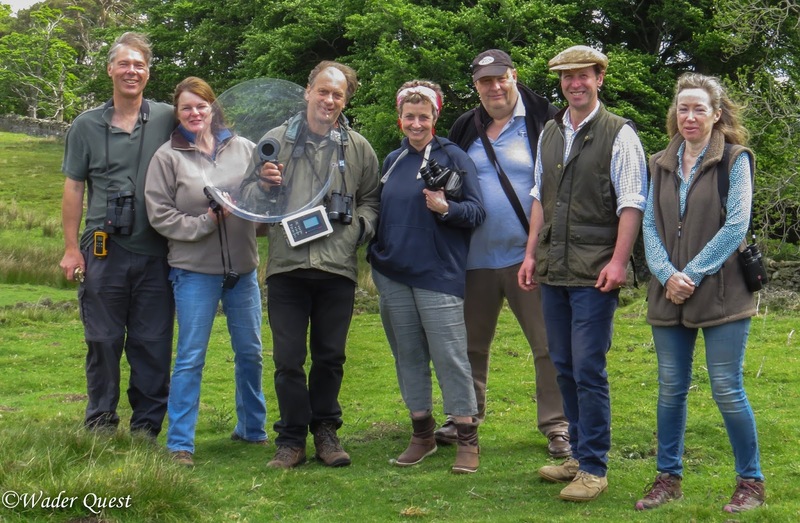 On the Sunday morning we were invited by Tom to join him when he took Robin and Judith Ward and Jill Warwick, Mary Colwell, Peter Cowdrey to the moor to try to ring some Curlew chicks. Robin and Judith Ward, Peter Cowdrey, Mary Colwell, Rick Simpson, Tom Orde-Powlett and Jill Warwick. In the end, only one chick was ringed before some of us had to head back to the castle, but it was lovely to see one of these amazing birds up close like that. 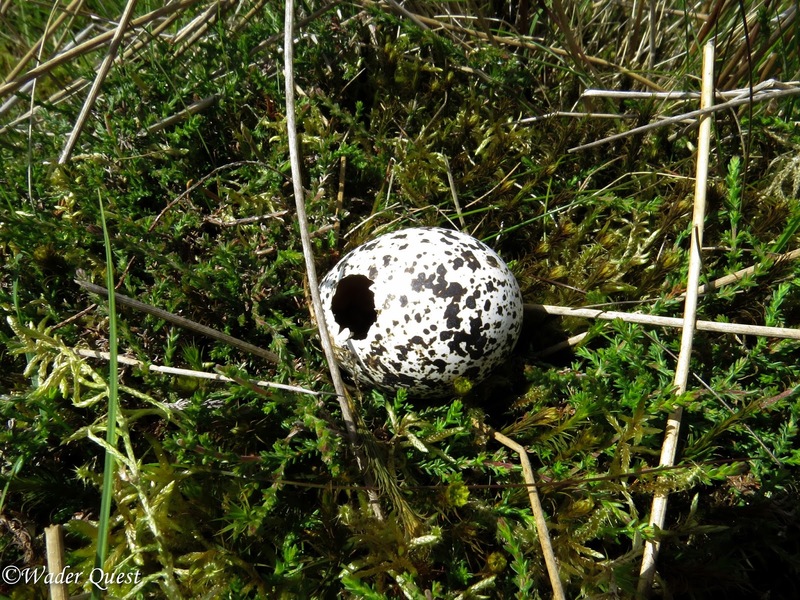 One small upset was Mary finding this pierced Oystercatcher egg, a sure sign of a truncated life. One highlight for us though was completely unplanned. Towards the end a gentleman called David, who is in the process of buying a farm in Teesdale, appeared seeking advice from anyone who'd give it on how to make his future property a haven for wildlife as well as being a farm; definitely an example of how the future of our countryside's birds will be improved, he is to be congratulated and admired by us all. 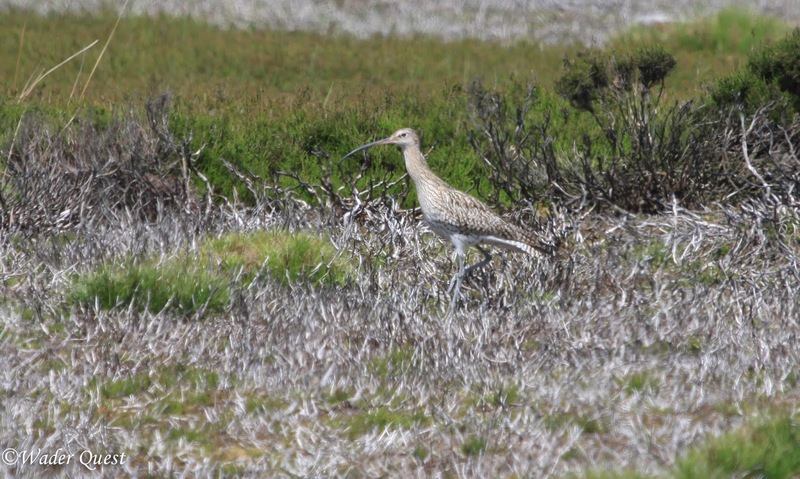 All in all a great weekend that has seen the future of the Curlew take perhaps one small and tentative step towards being a little brighter, it can be turned around, we just need a great deal of co-operation from many people to achieve it; can we come together for the Curlew? We think we can and we should!